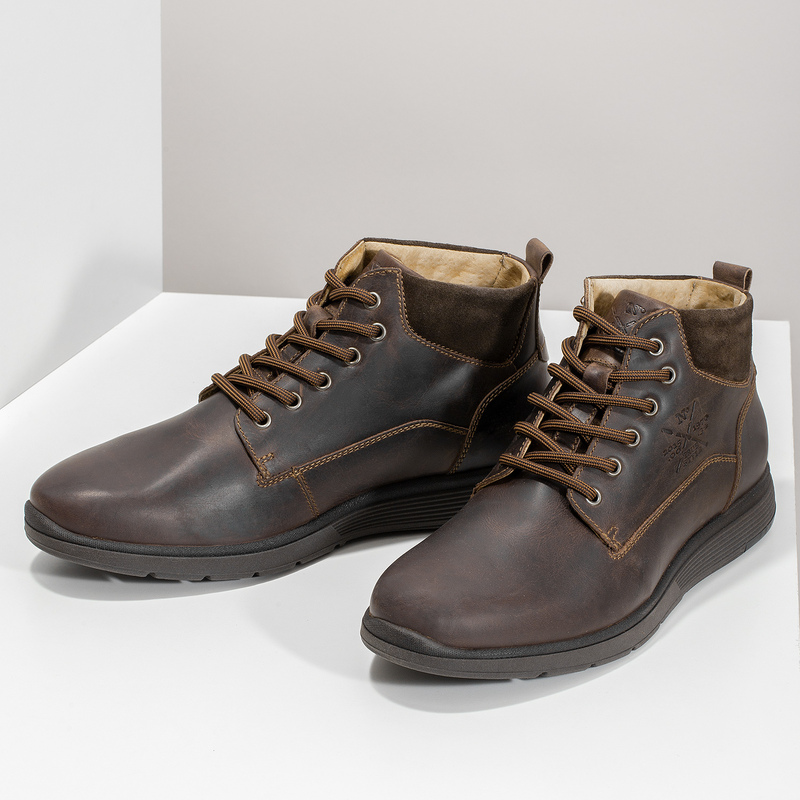 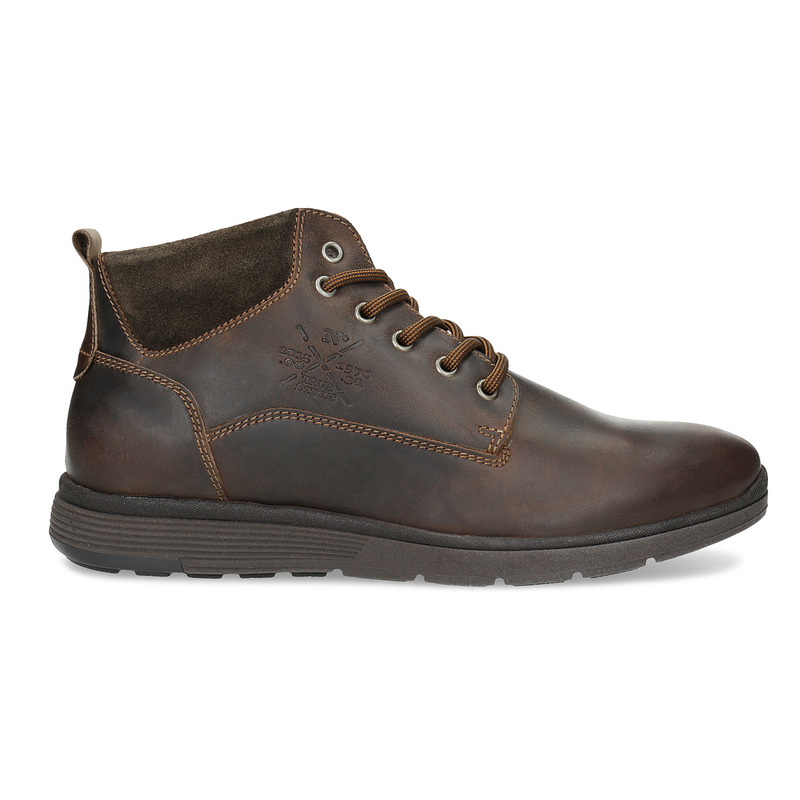 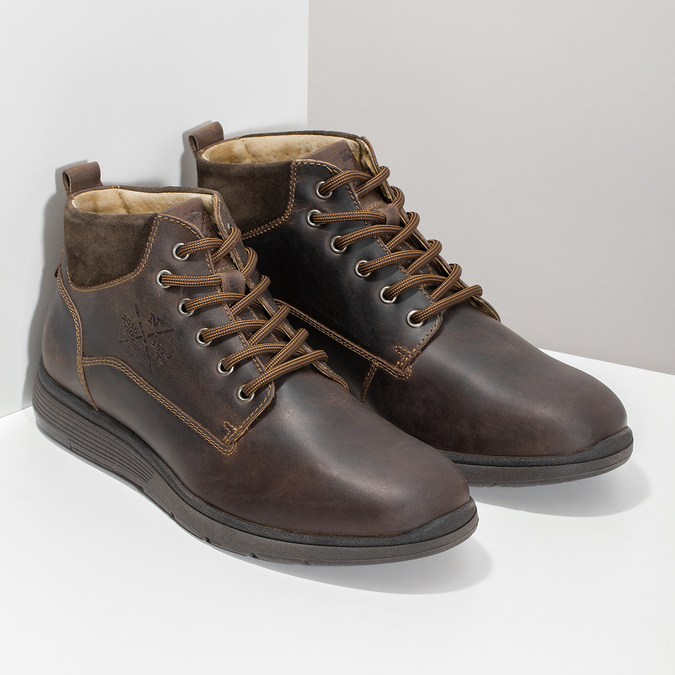 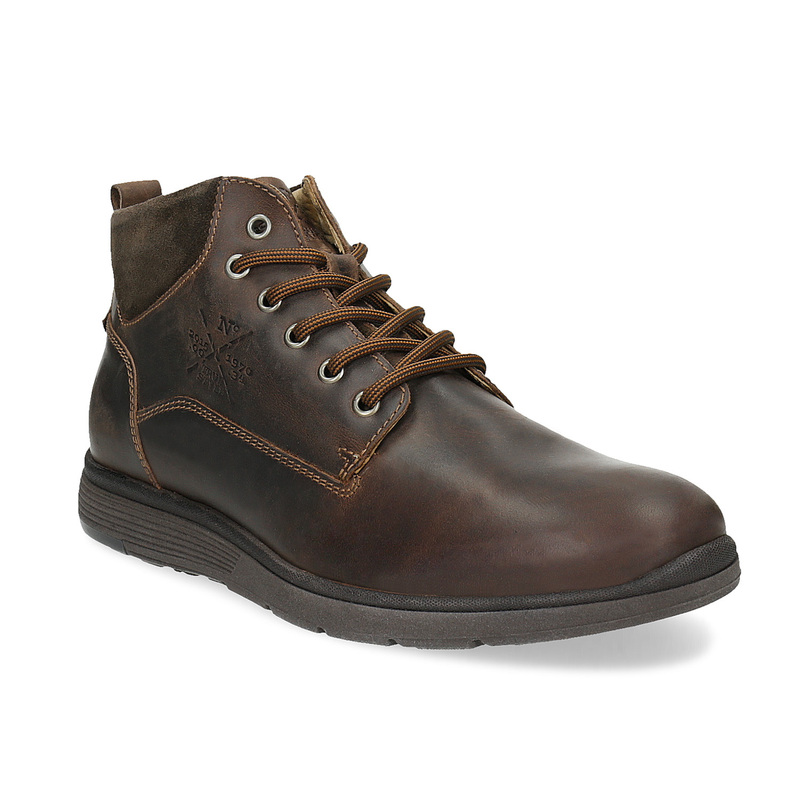 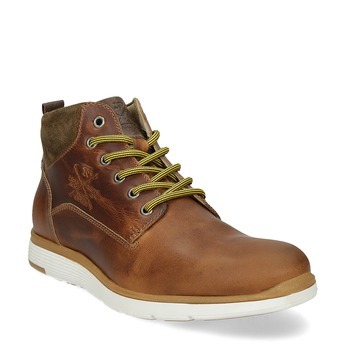 These men’s leather ankle boots have a brown premium leather upper featuring distinctive stitching and an embossed logo. 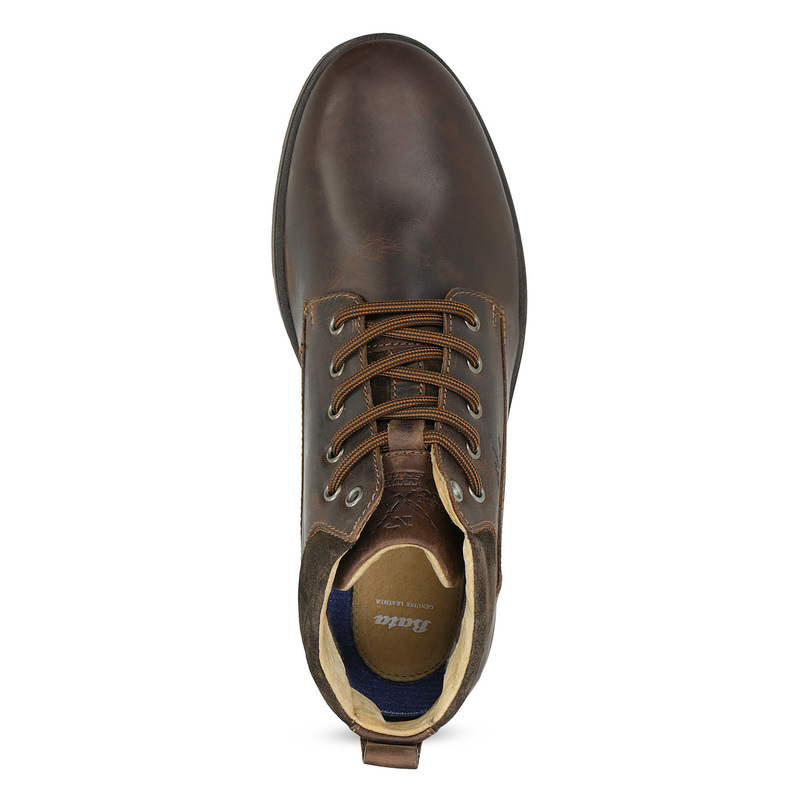 The textured leather and strap at the heel are also interesting details. 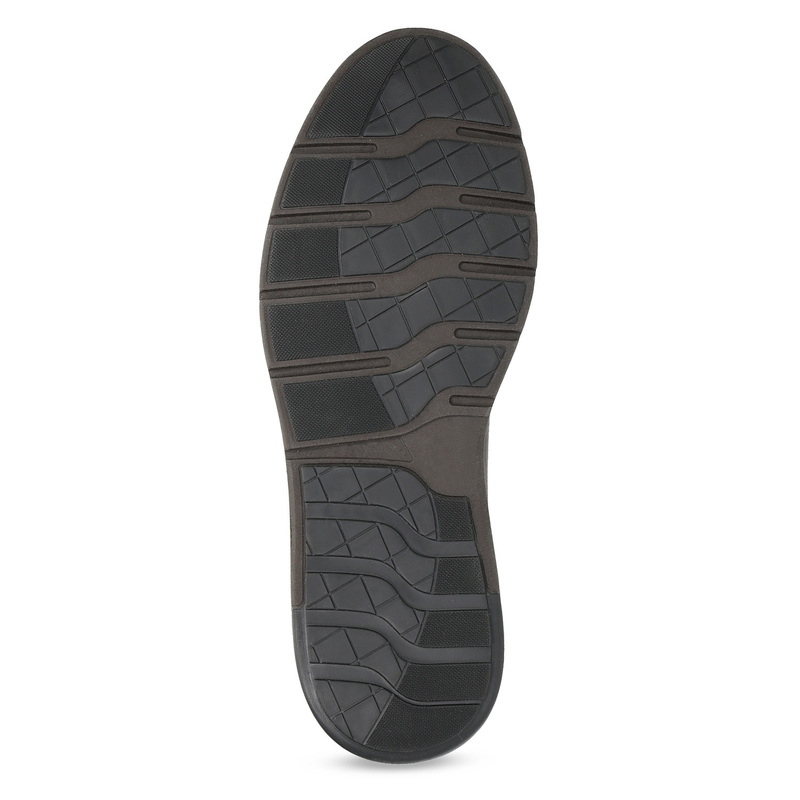 These have a comfortable textured sole, making them ideal for the chillier autumn and winter weather. 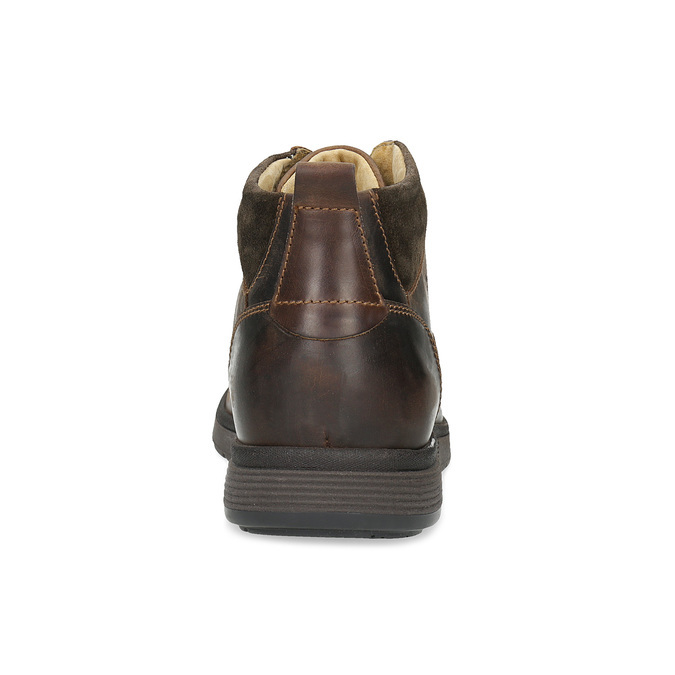 Wear with your favourite jeans or Chinos and add a belt in a similar colour.